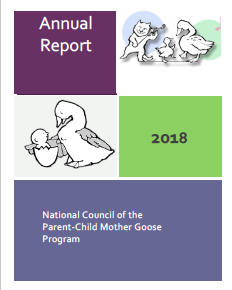 Our 2018 Annual Report includes reports on fundraising, membership, and key committees such as the Programs and Training Committee. 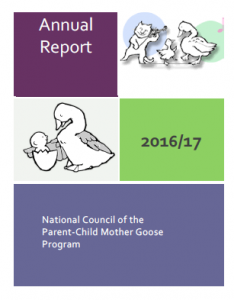 The National Parent-Child Mother Goose Program 2016/17 Annual Report, highlights the key accomplishments and events from the past year. The annual report includes committee reports and a message from the Co-Chairs.